Oliver Stone's Illusion Entertainment Group seeking a writer for Witchblade? 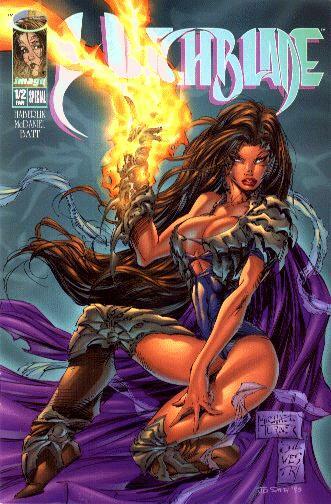 On January 31, 1999, the Comic2Film website reported that Alan Shue, Illusion Entertainment's production manager for the Witchblade TV show, and company were having difficulties in securing an appropriate writer for the project. This was the primary reason in why the production of the Top Cow character was being delayed. Shue stated that their most recent writer didn't work out and they are currently seeking a new writer who can develop a script. Until a set writer and script are approved, the rest of the production process is in a state of limbo. If you think you have what it takes, then the contact info is listed below. If interested, I can also provide a phone number but I suggest you write to them first requesting submission guidelines and their interests. Oliver Stone appears to be leaving the "production end of business" with the announcement of the dissolution of Illusion Entertainment, the production company he founded with partner Dan Halsted -- as reported by Variety magazine. If you are reading this and still curious about the Witchblade project, I have removed the address. Also, please do not send any requests for phone/fax information, as it will be only a waste of time and energy on your part. On the other hand, the Witchblade TV series seems to be pressing forward and may appear as early as next season on TNT. The TV premier of the Witchblade original movie has moved up according to TNT. The two hour film will air August 27th at 8 p.m. Keep a look out for it on TNT. Read the movie's review and see the TV schedule, here.